Zip-UP Ceiling System -- an easy install. FRASER, Mich. - Jan. 24, 2014 - PRLog -- Fraser, Michigan, USA, Zip-UP Ceiling® System to the rescue! Got an open ceiling in your basement? 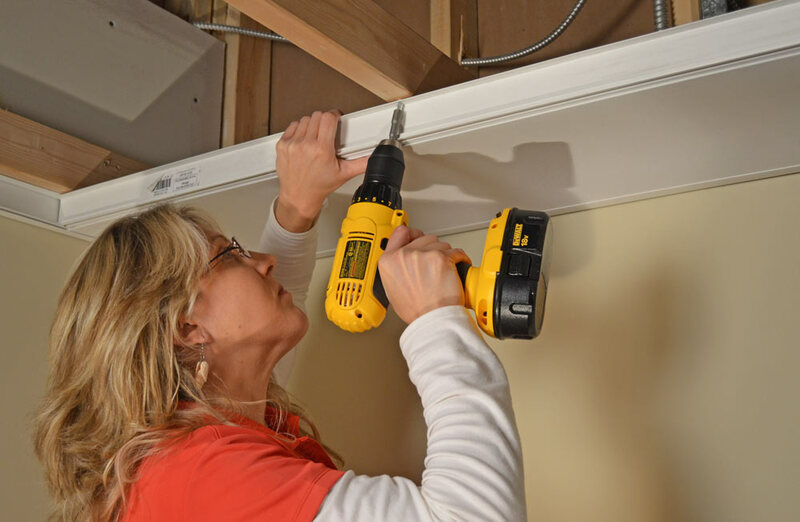 Perk up the space with fast installing Zip-UP Ceiling, and innovative PVC paneling system that goes up fast, brightens the room, and retains easy access to pipes and wiring overhead. Zip-UP Ceiling consists of flexible interlocking waterproof PVC components engineered to fit together with only a few tools. An economical waterproof and mold resistant low maintenance alternative to drywall or suspended acoustic ceilings, it performs very well in spaces with high humidity. Because it utilizes only 2" of headroom, it can be installed against an existing ceiling without the time and hassle required to remove an unsightly or damaged ceiling. Zip-Up Ceiling, which meets Class A Fire Rating, delivers a clean, grid-free flat, non-corrugated washable mold- and mildew- resistant surface. The system features just three primary components: wall trim, main rail, and panels. The main rails and panels are available in white and beige in smooth and serrated finishes. The finished ceiling is paintable with latex paint. The panels, which won't kink like aluminum might during installation, unzip from the rails for easy removal for cleaning or access. The one-foot wide panels are available in 12 and 16 foot lengths. The system reduces installation and life cycle costs when compared to gypsum board and other comparable installations.